iCalendar is an industry standard which, among other things, allows Roadmap work items -- milestones and to-dos -- to be displayed on your desktop or web calendar such as Microsoft Outlook (2007 or later), Apple Calendar (formerly Apple iCal), Google Calendar, Mozilla Thunderbird, etc. Go to the Project 360 page for any project and scroll down to the bottom-left and click the Subscribe to iCalendar link. Decide if you only want to subscribe to this project (A) or all projects (B) that you have access to in Roadmap. 2. What Are My Display Options? If you use start dates for to-dos and want them to appear with duration in your calendar (C) subscribe to This project or All projects. If you use start dates for to-dos but do not want them to appear with duration (D) subscribe to This project but ignore to-do start dates or All projects but ignore to-do start dates. Repeat steps 2 and 3 if you want to subscribe to some but not all projects. 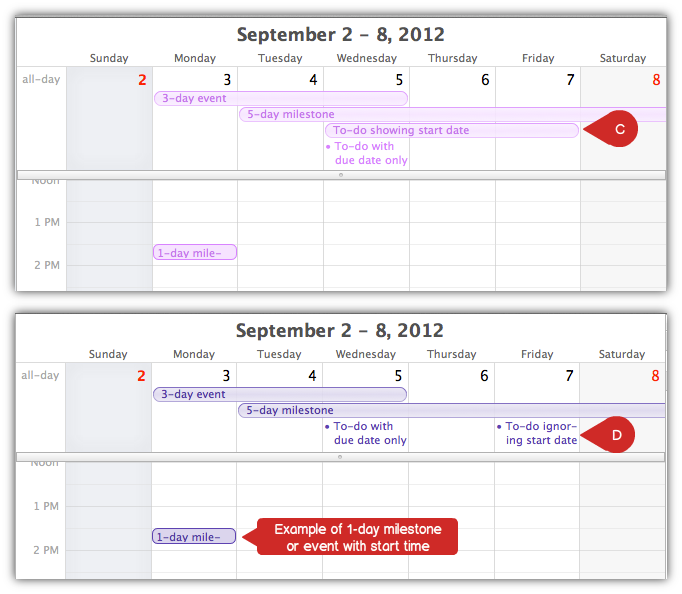 Each project will appear as a different calendar on your desktop / web calendar. 3. How Do I Subscribe to Google Calendar? 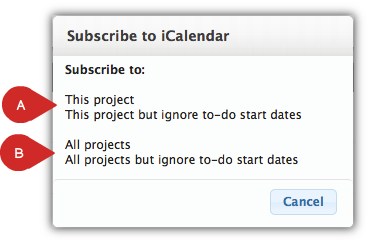 From the Subscribe to iCalendar pop-up dialogue right-click the preferred the subscription method (E) and copy the URL. 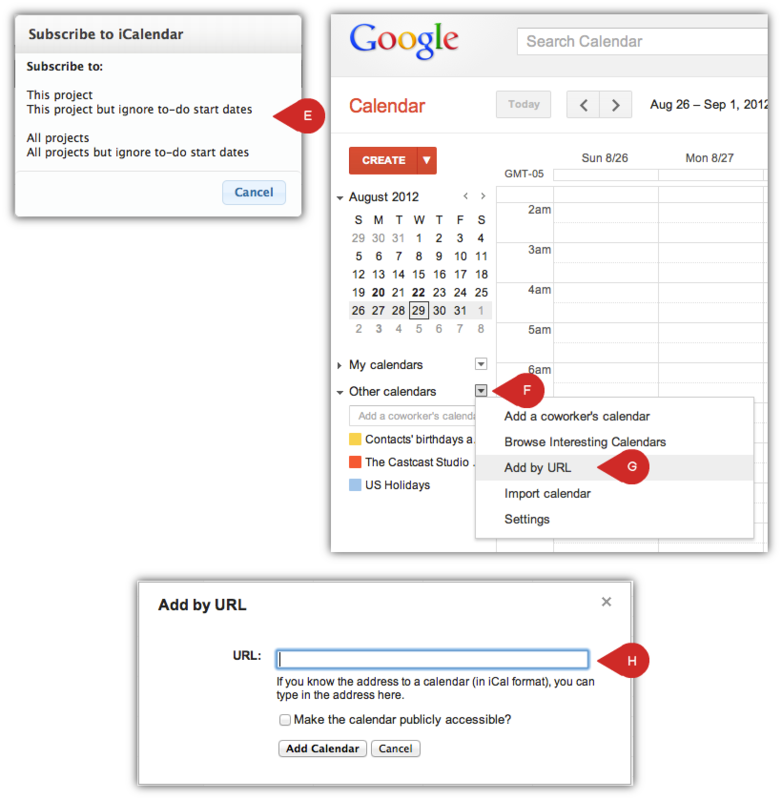 In Google Calendar click-to-expand the Other calendars menu (F) and select Add by URL (G). Paste the URL (H) and click Add Calendar button.